The Volunteer Ministers who served in New York following 9/11 inspired an entire movement that now circles the globe in the name of help. 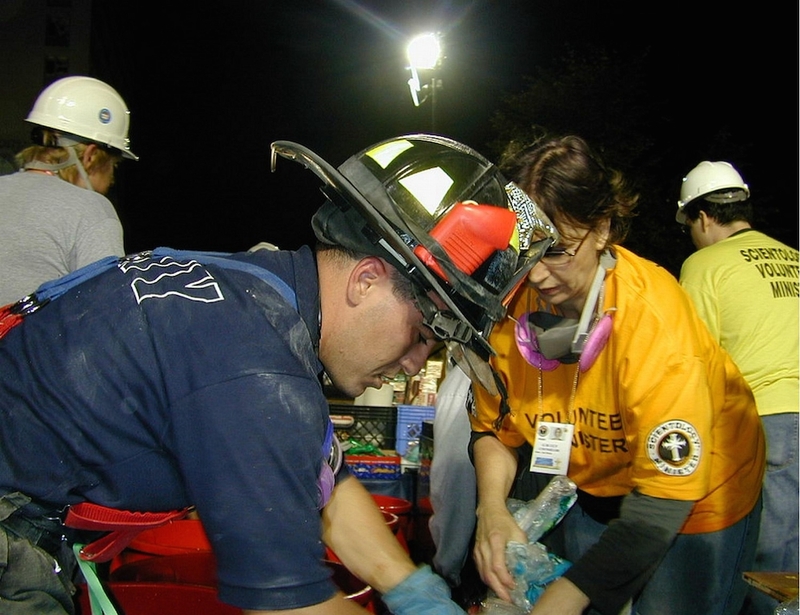 Scientology Volunteer Ministers provided physical and spiritual help to the rescue workers at Ground Zero who worked around the clock after the terror attack. Most Americans, if asked, would be able to tell you exactly what they were doing when they heard about the World Trade Center terrorist attack in 2001. It had that much impact on the lives of people throughout the United States and, in fact, on people all over the world. “As any New Yorker would tell you, to see the twin towers erupt and then disintegrate was a living nightmare,” says LPN, EMT and Scientology Volunteer Minister Ayal Lindeman, one of the more than 800 Scientologists who served at Ground Zero. 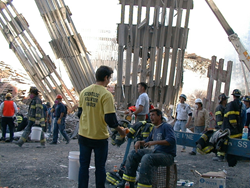 With barricades across all tunnels and bridges to Manhattan, local Scientologists gathered at the Church of Scientology of New York on Times Square and made their way to the World Trade Center where, with the smoke still rising from the rubble and ashes still thick in the air, they moved through the barricades to establish a base to help the rescue workers. Among the thousands who died that day were hundreds of firefighters, police and paramedics who responded to the emergency and were still inside when the towers collapsed. Throughout the rest of the day and night, exhausted emergency workers, many of whom had lost close friends and colleagues only hours before, were running on nothing but adrenaline. The Volunteer Ministers immediately set up communication and supply lines to provide what these rescue workers needed, including cold drinks, hot meals, someone to talk to and Scientology assists, “spiritual first aid,” for those who had witnessed the cataclysm and watched as more than four hundred teammates vanish in an instant. Scientologists poured in from Churches throughout the United States and abroad and continued serving at the site throughout the eight-month cleanup operation. The work of these volunteers at Ground Zero New York inspired a movement that now circles the globe—Scientology Volunteer Minister Disaster Response teams on call 24/7 in times of disaster. They served in the aftermath of the 2004 South Asian tsunami, Hurricanes Katrina and Rita, the 2010 Haiti earthquake, the 2011 Japan tsunami and hundreds of disasters great and small in countries around the world. Created by Scientology Founder L. Ron Hubbard in the mid 1970s, the Volunteer Minister program is a broad initiative bringing effective physical and spiritual assistance to anyone, anywhere. Expressly intended for use by Scientologists and non-Scientologists alike, anyone of any culture or creed may train as a Volunteer Minister and use these tools to help their families and communities. And all are welcome to do so. To provide more information on this and the other humanitarian initiatives it sponsors, the Church of Scientology International has published a new brochure, Voice for Humanity—Real People, Real Help. To learn more, visit the Scientology website. 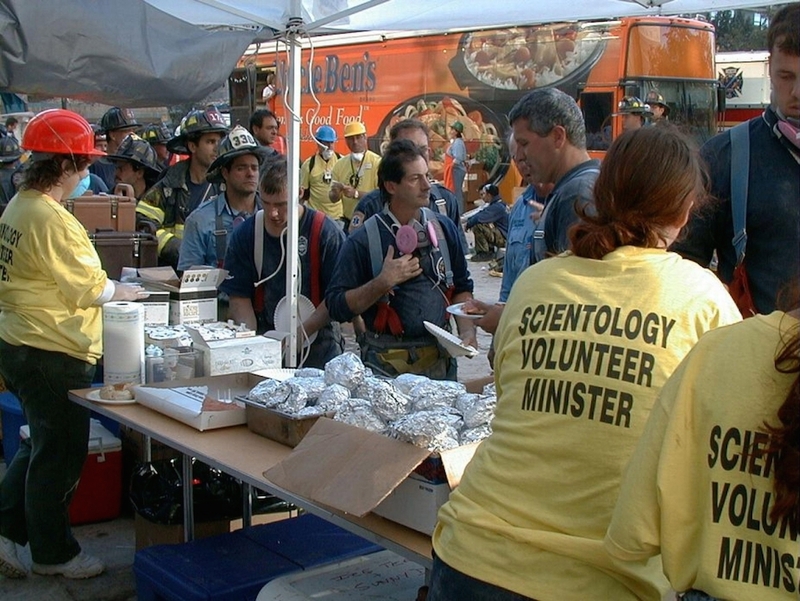 The Volunteer Minister tent at Ground Zero, where rescue workers came for meals, companionship, and Scientology disaster relief techniques to help them cope with the daunting rescue effort. 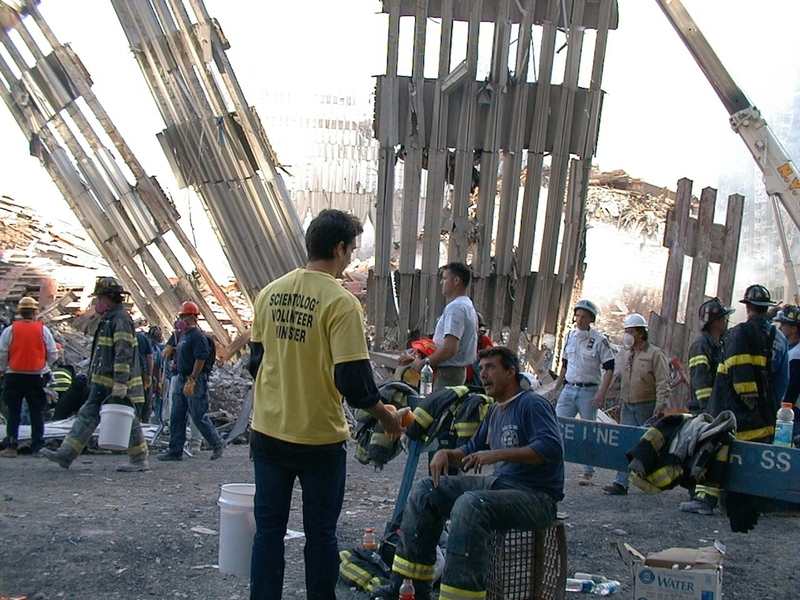 Scientology Volunteer Ministers provided physical and spiritual help to the rescue workers at Ground Zero who worked around the clock after the terror attack. More than 800 Scientology Volunteer Ministers served at Ground Zero in New York, where they became known for their compassion, skill and willingness to take on any task.